In this modern, technologically advanced age, running a successful retail strategy is in some ways easier and in other ways more difficult than ever before. The boom of the mobile applications has completely revolutionized the world of retail by changing the way most people shop. Statistics show that approximately 82 percent of people now conduct research online before making a purchase, which means that you're missing out on a huge proportion of your potential customers if you’re not making the most of your digital and mobile presence to ensure your stores stand out from the crowd. In this context, we’re very glad to announce that MOCA has been invited to participate in the first Proximity Marketing webinar focus on showing uses cases and sharing learnings about how to leverage proximity technologies to increase revenue growth in Retail applications. The free webinar is organized by our Partner A3sec, a company specialized in Cybersecurity and Business Intelligence that helps its customers to digitize their businesses. Our CEO, Maria Fernanda Gonzalez along with Pablo Mendoza, Business Intelligence Manager y CMO de A3Sec will be presenting the webinar on March 8th. The webinar will be available in Spanish. It starts with a brief introduction about Proximity Marketing, the different technologies available in the market and how in the most cases Retail Apps wouldn't need hardware deployments. After that, they will talk about particular uses cases for Retailers. Moreover, it will provide a Success Story about an existing implementation, one of the biggest Retail App. The shopping process is a multi-stage/multi-channel process, so marketers need to understand the customer journey in order to stay competitive. 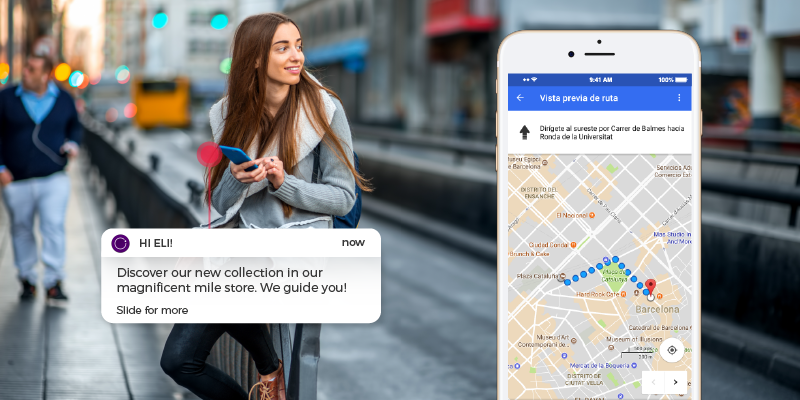 Using Proximity and Engagement marketing tactics, retail apps will be able to leverage their own customer base to grow their business and use it to expand their brands. Are you going to miss this webinar?